The 4x Mr. Olympia Jay Cutler shares his golden rules for never-ending growth! 1-Before you start, set a goal and have a plan. You must know whether you are satisfied after a month or two. You really think Roelly Winklaar gained Hulk-looking muscles overnight? Be realistic and recalculate few times. 2-Focus your training sessions on volume. Big muscles are easier to build when you work a higher number of repetitions with heavier weights. 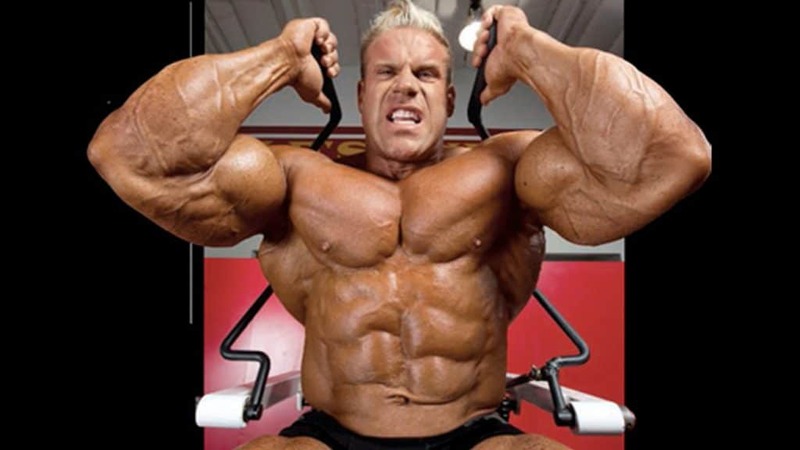 Jay Cutler claims many bodybuilders have an irrational fear of overtraining when the number of their sets per workout is increased. He describes himself as a volume coach forever. 3-Don’t resist changes. Don’t let anything distract you. You will need to get a good night’s sleep, don’t go out and party all night. Your body needs to develop a constant regime of behavior. Jay Cutler changed his routine completely in 2004 – it kept him awake most of the night, but he napped twice per day. When the competitive year was over, he returned to his regular training regime. Don’t be afraid of experiments! 4-You need to move fast. Fast movements are better than slow movements. When you pause too much between the sets, you are allowing your targeted muscle to recover. Try to keep your breaks between the sets shorter, and breaks between the exercises longer. Jay Cutler pre-contest rest periods were around 40 seconds with higher loads! 5-Stick to the organic. It is always better to buy a cheese, beef, or vegetables from a local peasant. At least you know the ingredients, and the nutrient ratio is definitively better. 6-The power of helping hands. You need the team to be prepared. Someone should help you during intense sets. 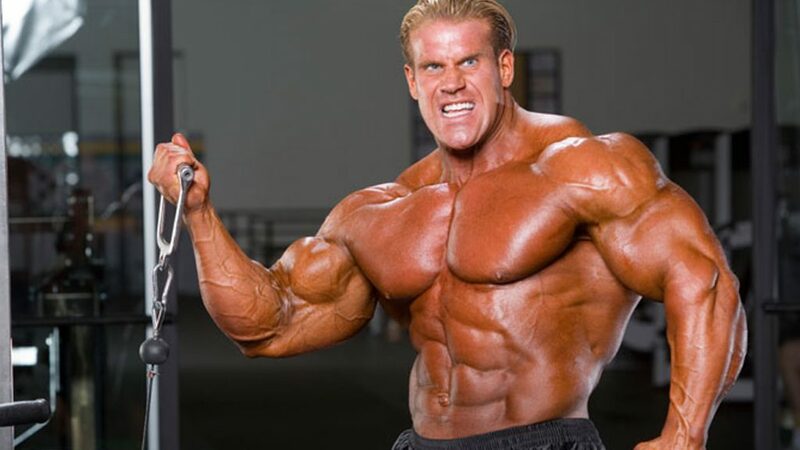 When he was preparing for Mr. Olympia from 2009 to 2011, Jay Cutler had two or three partners per workout – it explains his ultrashort rest periods! 7-Double-up on back. Back width and thickness are extremely appreciated by bodybuilding judges. Jay Cutler had one of the biggest rear lats ever! He worked twice per week on his back muscles – one training session for width, and one for thickness. 8-Recuperation is important. You must go to the massage at least once per week. When you push your muscle over and over, you may face two problems – you can hurt your muscle and you can reach a growth plateau. Jay Cutler went at least once per week on a long-lasting deep-tissue massage, which at the same time boosted flexibility and muscle growth. 9-Try to build your muscles with basics. Try to focus more on free weight exercises. The machine excludes some vital stabilizers during the motion since the machine behaves as a movement stabilizer itself. Free weight training is more difficult, but more muscles will be activated. Jay Cutler lost to Ronnie Coleman many times. In 2003, after the defeat, Jay Cutler tried Coleman’s style – T-bar rows, deadlift, barbell bench press, barbell row… Since the year 2004, free-weight basics is his routine. Jay Cutler turned Ronnie Coleman’s weapon against him!!! 10-Perform unilateral sets. One side of your body is stronger by nature. It generally means you will need to work more sets for the weaker side of your body to build symmetrical look. Jay Cutler did more repetitions for weaker leg or arm. 11-Pay attention to small muscle groups. Jay Cutler keeps forearms and abdominals as a part of his training routine. Even during the offseason! He also trains calves on a regular basis. Small muscle groups are equally important to maximize the result. 12-Eat, eat and eat. That doesn’t mean you should buy hamburgers and soda! Jay Cutler claims you should eat six or more high-protein meals. He claims he doesn’t enjoy it, but this is a part of his muscle growth plan, and he blindly sticks to it. You have probably heard the myth which says The Colossus could eat a horse. A bodybuilder must eat healthily to gain muscle mass. 13-You mustn’t give up at the half of the road. You know what is the difference between the MMA champion and an MMA fighter? The champion won’t give up until he comes to the top. The same situation is in bodybuilding – remain persistent! Cutler was a runner-up from 2001 to 2005. Do you know how many bodybuilders would give up? A true champion, like Jay Cutler, always stays focused on his goal, no matter what happens. In 2006, an adaptable, mistake-learning Cutler has finally won the Sandow! 14-Don’t you dare to think about counting reps! You will quickly learn your body that it shouldn’t send a signal to the brain after you perform 10 or 12 repetitions. You must focus on your muscles, don’t be distracted! So what if you aren’t certain of a number, nobody is going to put you in prison. 15-Work your warm-ups. Jay Cutler calls lighter sets “the feel sets”. He doesn’t go for weight, he is trying to get the feel of the weight, certain the technique, and determine how hard he can push the muscles on a present day. 16-Watch the signs. Bodybuilding is about knowledge to avoid injuries, even the smallest ones. Your body talks, and you need to decode it. Jay Cutler had his first injury at the age 38, twenty years after his first competition! He rarely went under 10 repetitions, and this routine kept his muscles unharmed. 18-Stick mostly to the 8-12 range. Currently, 8-12 repetitions are the best choice for someone who wants big muscles. When you work small group muscles, like arms or calves, focus on 12-15 repetitions. Jay Cutler did fewer repetitions than eight very often when he was a teenager, but after 2004 he has almost removed it! 19-Learn from your rivals. Jay Cutler started applying free-weight basics in his training sessions after 2003 defeat from Coleman. After the defeat from Dexter Jackson in 2008, he hired Phil Heath’s trainer/nutritionist, Hany Rambod. Jealousy and succinct are the worst case scenario, pick the best from everybody! 20-Analyze and be methodic. Jay Cutler was defeated in 1993 NPC Teenage Class to Branch Warren. Since then, he kept a diary – every rep, calorie, even bathroom breaks were written! When he turned pro, he continued analyzing his meals and calories even more precisely. 21-No major shocks. This bodybuilding superstar sticks to its training routine. He is not a fan of giant circuits or very hard bench presses which will destroy too many proteins. When he supersetted, he had the base – he has never shocked his body with infinite or Spartan workouts. 22-Hit the angles. Working on angles might really be difficult, especially when you train on your own. But every gym has a mirror, so pay attention to the foot placement, grips, how high the weight goes, which exercise is the most effective etc. Jay Cutler emphasized hitting body from a variety of angles, depending on which part he wants to build. 23-You must stay lean. You cannot find the photo of fat Jay Cutler anywhere. Bodybuilding is a sport where the slightest error can cost you, a true pro needs to stay dedicated to his goal. He exaggerates the power of lean diet to cut fat and monitor progress more effectively. 24-Sometimes you will need to improvise. Do another exercise for the same muscle group. Train your core muscles more. Jay Cutler analyzed muscle response in details and chose the appropriate tool accordingly. He likes to pause in the middle of the session, so he and his partner can recalculate how many repetitions are done and what is next. 25-Fun, fun, and more fun. Are you tired? Your mood will not be perfect every day – find a way to motivate yourself and overcome the difficulties. Jay Cutler frequently laughs and jokes between the sets with his training partners. He claims he never forgets how happy he is with living from something he loves so much. It takes time to gain Cain Marko’s look. As you’ve probably noticed, all the messages Jay Cutler sends are about persistence, knowledge, and endless power of will. You simply need to be a perfectionist. No matter what you do, don’t forget to work on smaller muscle groups and tiny things. Who knows, a bodybuilder with king-size delts might lose in the competition because of disproportional calves and forearms! Learn to look at your body as a machine which works only when all parts are functional!